Reunion Sneak Peek: Rosie threatens Teresa! Ok, this preview is disturbing. What started out as a fun show has turned into a dark and disgusting mess. In this clip from the three part reunion episode of Real Housewives of New Jersey, it appears as though everyone is at their breaking point. It ends with Rosie, shouting from backstage (why are siblings even there..ahem Marco sisters..ahem). 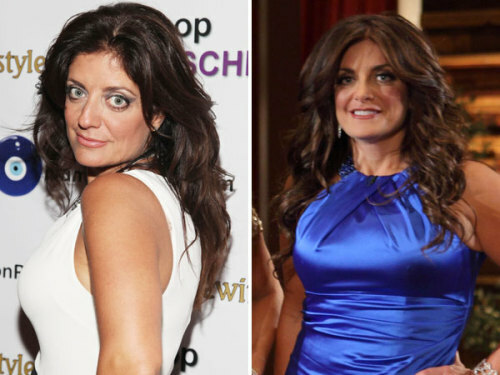 Check out this clip from People.com which features insults, Kathy Wakile’s unrecognizable face, a hysterical Teresa Giudice, a comforting Caroline Manzo, a seriously pissed off Melissa and an utterly horrible exchange between Joe and Joe. This is absolutely heartbreaking to watch and 100% not entertainment. Again, nothing got to this point until we met Melissa. Just sayin’.